This exhibition delves into the world of Lucid dreaming as a source of inspiration, and self discovery. Oneironauts are literally explores of the dream world, looking into their subconscious to find new inspiration, discover new ideas, and explore ones self. 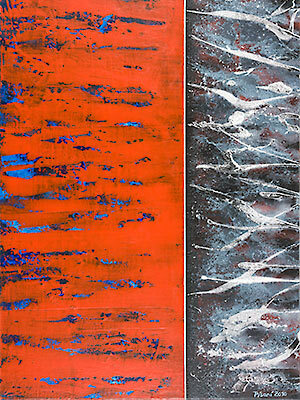 This paintings and more of Pisani abstract art work can be viewed in the gallery here.